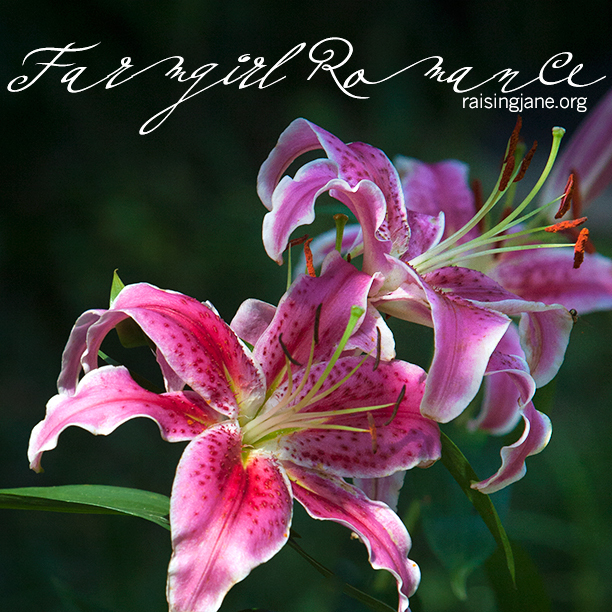 Stargazer lily’s are so beautiful. I would rather look and smell one outside in the fresh air than in a floral shop or market. Sorry my beautiful big girl (dog) Sophie just nudged my arm and of coarse the mouse hit “post comment”. She lets me know when I have been on this too long and she needs my attention. So what I was saying is I also garden Organically. When I get moved I intend to go after the Green Badge and the Garden badge. Can not wait. love you all and have a wonderful day and evening.